Photo images represent an example of this product. Each perch is unique and will not look exactly like those pictured. Please note the shipping cost of these products must be approved prior to order processing. You will be contacted by phone or email regarding the quote and request for approval. Java wood comes from coffee trees. After many years of producing coffee the trees become non-productive and dormant. Instead of burning the non-producing trees to make room for new plantings, the trees are now removed. Once removed, branches are hand-picked for perches. The branch bark is painstakingly removed and the branches are shaped and kiln-dried. 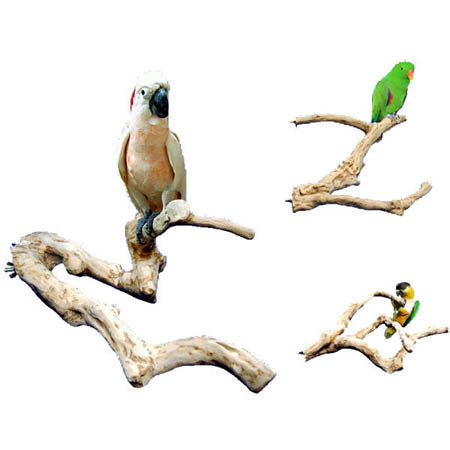 The end product provides a beautiful and extremely durable hardwood perch for your bird.